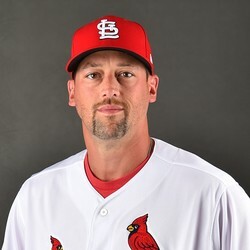 Luke Gregerson had arthroscopic knee surgery to repair his meniscus on Monday and is expected to miss 4-to-6 weeks, FOX Sports Midwest reports in an update from St. Louis President of Baseball Operations John Mozeliak. Gregerson had not pitched well this season, and it is possible the knee has been bothering him for some time. He heads to the disabled list with an 8.64 ERA and four runs allowed over his last two outings. Check back on his status in a month, though it could be some time before he is fantasy-relevant again.